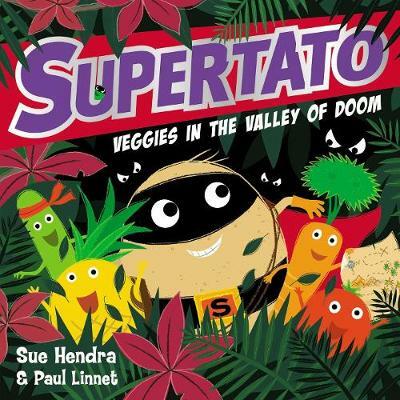 Join Supertato, the veggies and a certain Evil Pea on their brand new adventure in the bestselling Supertato series by Sue Hendra and Paul Linnet! When a game of hide-and-seek turns into an EPIC treasure hunt, the veggies must face fearsome foes, the impassable Cactus Canyon and the dangerous Valley of DOOM! Will our heroes EVER make it to treasure aisle?